Augustin is an Associate at Lalive in Geneva. He joined Lalive in 2016. 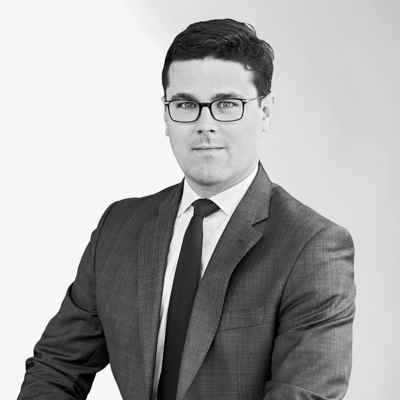 His main area of practice is international arbitration, including commercial and investment treaty arbitration in a wide array of business sectors including construction, oil & gas, mining, joint-venture, supply and distribution and foreign investments. He has acted as counsel in numerous international arbitral proceedings under the aegis of various institutions (ICC, LCIA, SCC, NAI, CCJA, ICSID) as well as ad hoc proceedings governed by a range of substantive and procedural laws, both common and civil law, such as French, Swiss, Swedish, English and international law. I never had an epiphany regarding International Arbitration. I was drawn to it one small touch at a time, during internships. It started with discussing the field with fellow interns. I was from time to time asked to assist briefly on arbitration cases during a more intense period where the team was not sufficient to deal with the existing workload. These experiences progressively resulted in a certain attraction to the field. I have been playing hide and seek with International Arbitration for a while. Although familiar with arbitration thanks to my studies, I was not particularly interested in the field, from an academic point of view. If I had to pick a specific time when I really started thinking about a career in International Arbitration, it would be a course, in which the professor assigned us on a specific case, which we would have to summarise for the class and eventually defend one of the parties’ position. I was randomly assigned to an ICC arbitration case. While reviewing the materials and getting familiar with the facts and the procedure for the presentation, I felt like this was the type of work I would gladly be doing. As my appetite for the field grew over time, I started applying for intern positions focusing on international dispute settlement, including international litigation and arbitration. I also attended many conferences available for young practitioners, in order to meet more experienced players and discuss their experience. I remember a case, which started as a regular construction case, in which we represented the claimant against a State party in relation to a medium-size housing project. The parties had already exchanged a significant amount of correspondence, which made their respective positions rather transparent. The case appeared straightforward. However, during the process of appointing the arbitral tribunal, the respondent suddenly decided to use all guerrilla tactics in the book in order to derail the arbitration. On the same day, the local representatives of our client were arrested and deported, the State called all the performance bonds, which triggered cascading calls of first demand bank guarantees in several countries, and initiated criminal proceedings for alleged fraud in no less than three jurisdictions and a commercial case before its own courts. Our client was obviously shocked and asked us to react on all fronts as swiftly as possible. In the blink of an eye, the case had transitioned from a solid monolithic dispute to a myriad of smaller cases in multiple jurisdictions, which we had to supervise and keep coherent, while trying to expedite the appointment process in the main arbitration case. After several months of efforts, we managed to get a tribunal appointed as well as emergency measures that forced the other side to put a halt to the various proceedings it had initiated. The case then moved on peacefully as initially anticipated. This thrilling episode made me realise that, not only is predictability alien to International Arbitration, but also that, to fully support and defend a client, an arbitration practitioner must be ready to wear as many different hats as circumstances dictate, simply because no one else will. Always simultaneously having one eye for the overall battle plan and one for the details of the operations, as well as an intact intellectual curiosity. Regardless of seniority, it is necessary to know the overall strategy of the case, even when assigned tasks that seem small and limited in scope. To make even the simplest tasks meaningful, one needs to know where they fit in the grand scheme of things. Attention to detail is essential and can make a huge difference when it comes to winning very complex cases. Finally, curiosity is, in my view, what makes a good practitioner. Being willing and ready to enter a whole new field for each new case is key. It is tempting to seek assignments on lines of similar cases, in which one has gained expertise. However, getting acquainted with new sets of facts, substantive laws and industries is what makes International Arbitration truly challenging and unique. When I started working, I managed to share my time between arbitration and domestic litigation for almost three years. Although I ended up focusing on International Arbitration, I do not regret having made this initial decision and the experience gained as a result. One may sometimes get the impression that International Arbitration exists and may be studied and practiced in a vacuum. However, the fundamental principles, which guide arbitration proceedings are similar as those guiding domestic proceedings. The procedural tools that the parties are free to devise and agree on in international arbitration, which make the field so rich and diverse, frequently come from domestic litigation. Having practised commercial and criminal litigation on the side, an arbitration practitioner is bound to benefit from decades of procedural creativity and guidance developed in a specific legal system. Knowing from the beginning that you are attracted to International Arbitration is a considerable strength. Students can plan ahead and shape their academic curriculum in accordance with their goal. However, some can be tempted to cut corners and neglect an essential feature of what makes a good arbitration practitioner: actual legal skills. Having an in-depth knowledge of International Arbitration as a field is of course very important. However, it is necessary to have legal instincts that one can only develop on the basis of a thorough knowledge of a domestic legal system. Things like statute of limitations, mandatory rules, defective consent are not identical throughout legal systems, but often share similar features. The instincts and reflexes gained by studying your own legal system thus generally pay off, even when you are confronted with an applicable law that you have neither studied, nor practiced.